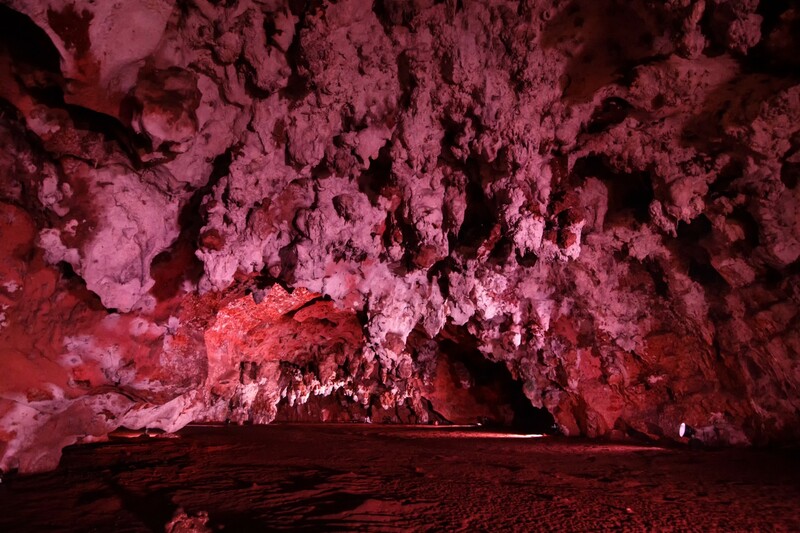 At the Loltun caves in Mexico, a new lighting system was needed to improve the visitor experience and help ongoing archaeological studies. Lighting designers GPE Designs replaced the original system with the Lumenbeam family. The firm used Lumenbeam XLarge, Large, Medium and Small Color Changing luminaires. The fixtures provide full digital dimming and color changing flexibility. GPE Designs mounted the luminaires onto concrete bases, which can be moved in the future. 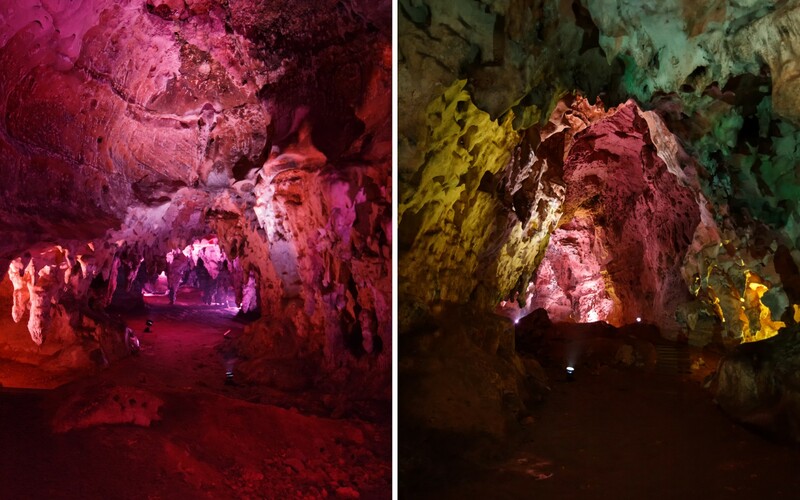 The firm experimented with different colors to highlight wall paintings and differences in the rock formation. The end result has improved viewing, while reducing operational costs and increasing flexibility. 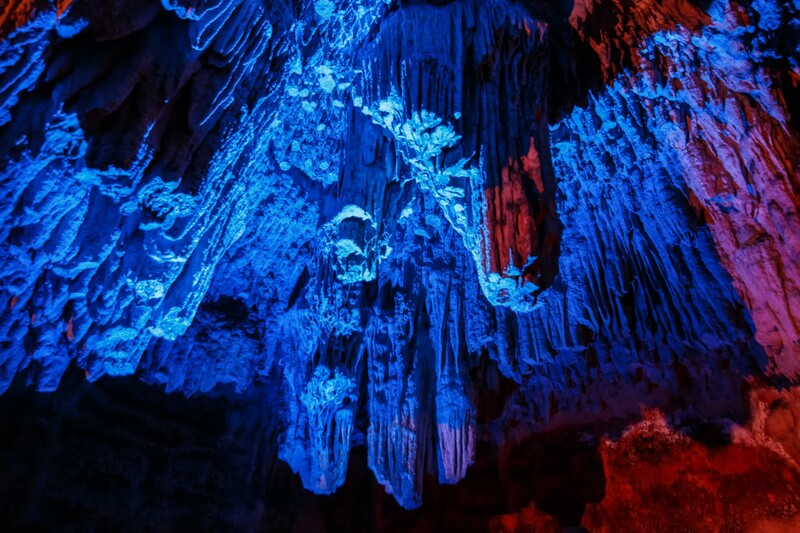 Lighting designers GPE Design brought a flexible, energy-efficient lighting scheme to the historic Loltún Caves in Yucatan, balancing the contrasting needs of tourists and archeologists. The Lumenbeam family was a perfect fit; it had the right sizes, output, and versatility. Best of all, they’re long-lasting, durable products. 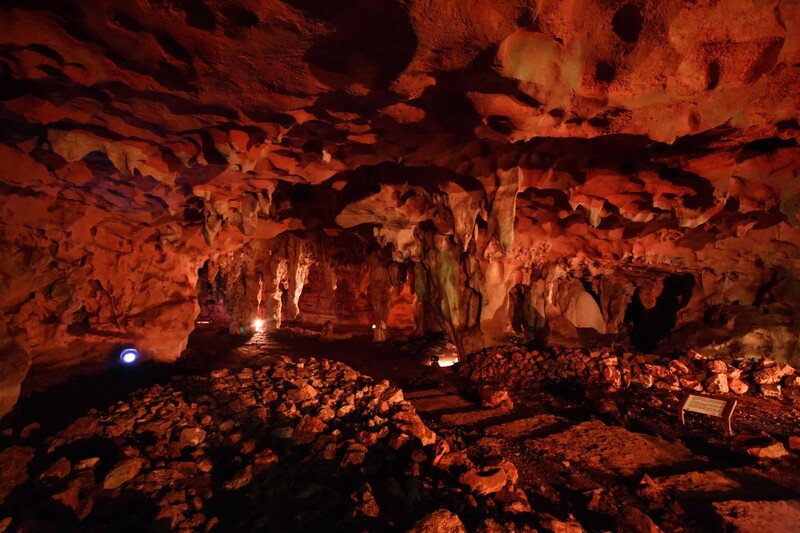 Discovered in 1888, the extensive cave network at Loltún - once considered a sacred site by the Mayans - is now both a major tourist attraction in the Yucatan and an ongoing site for archeological study. To balance the needs of visitors and archeologists, lighting designers GPE Designs were engaged to upgrade the site's original lighting system. 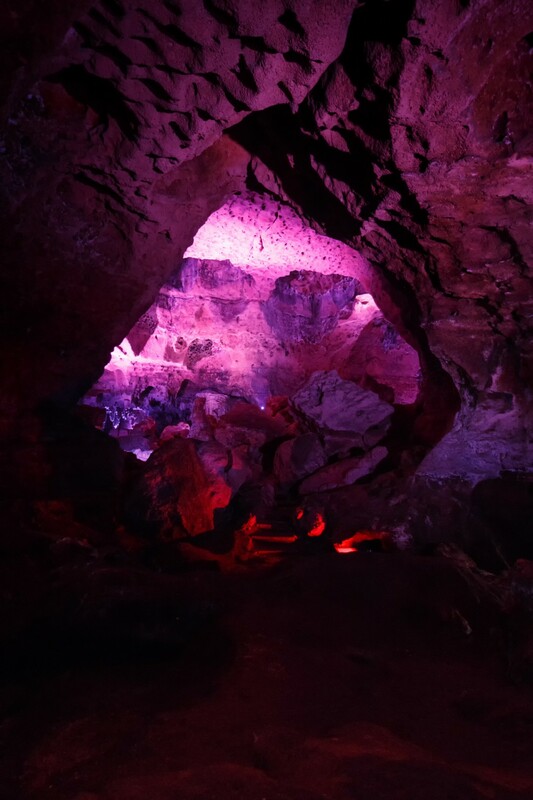 "The caves were originally lit with incandescent and HID lamps, which used a lot of energy and had to be changed often. 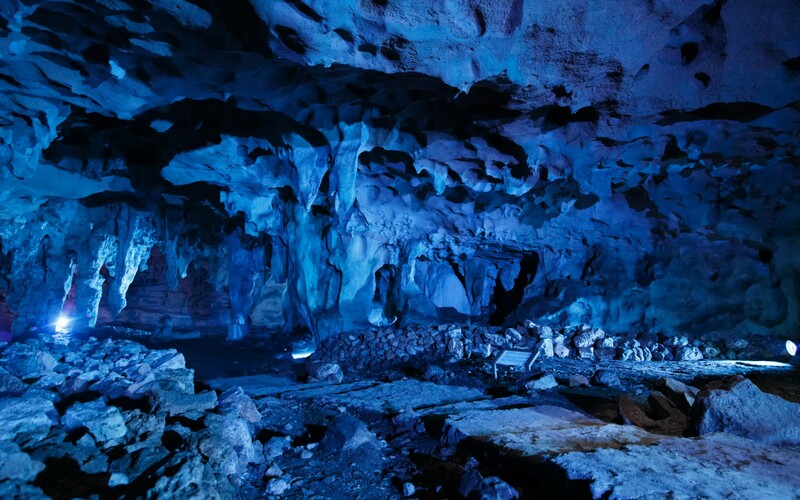 More importantly, they did a poor job of bringing out the wall paintings and uniqueness of each section of the cave," said Carlos Gonzalez, principle at GPE Designs. GPE Designs replaced the original system with the Lumenbeam family, using Lumenbeam XLarge, Large, Medium and Small Color Changing luminaires to provide full digital dimming and color changing flexibility. "This project required high-performance fixtures that were low-maintenance, energy-efficient and flexible enough to change with the demands of the tourism industry. The Lumenbeam family was a perfect fit: it had the right sizes, output, and versatility. Best of all, they're long-lasting, durable products," Gonzalez said. 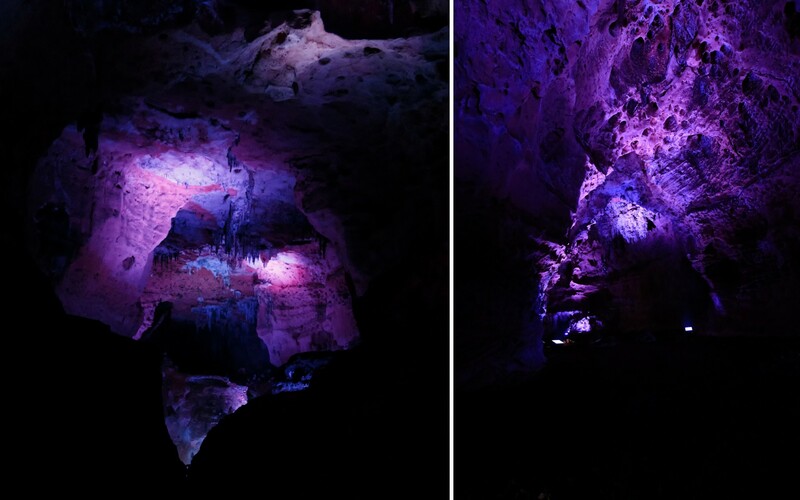 In order to limit damage to the cave, GPE Designs avoided permanent installations into the rock, opting instead to mount the luminaires onto concrete bases, which can be moved for future studies, events or exhibits. The firm then worked closely with archeologists on-site, experimenting with different colors to highlight wall paintings and differences in the natural rock formation. 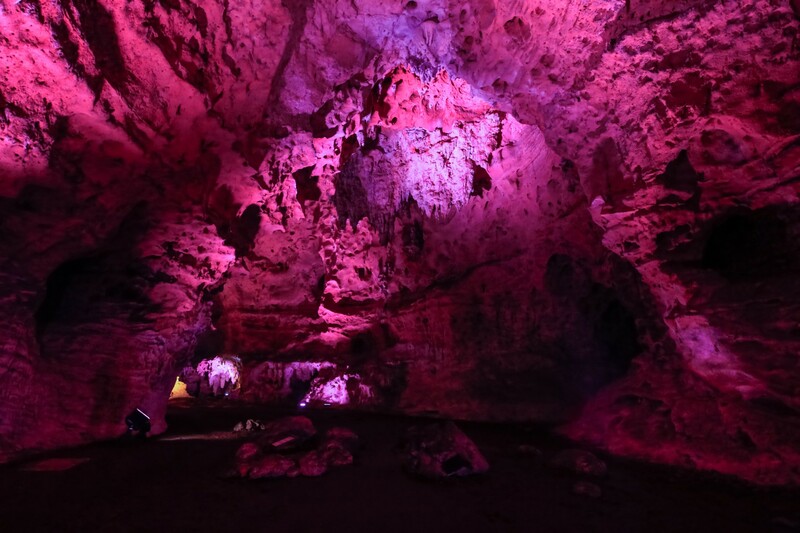 "The rocks and soil are different throughout the caves, so the goal was to emphasize these differences to bring out the real colors in front of you," Gonzalez said. The end result has reduced operational costs and increased flexibility, helping to pay respect to the site's past, while also ensuring its future - as both a site of study and tourism - remains bright. "New visitors love it," Gonzalez said, adding that the impact is really felt by those who have already been there. "Everyone, even the archeologists, say it's like seeing it for the first time."